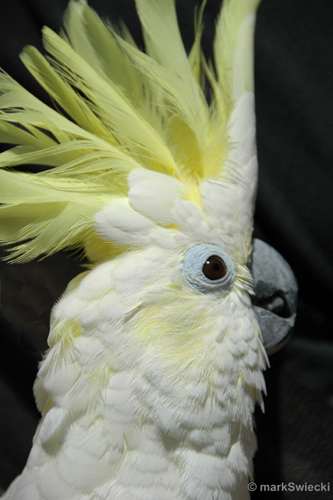 This Lesser Sulfur Crested Cockatoo, LSC, has its crest up and his relating a bird story no doubt. The LSC, has a yellow crest and cheek patches. It is about 12 inches in height and originated from Indonesia.